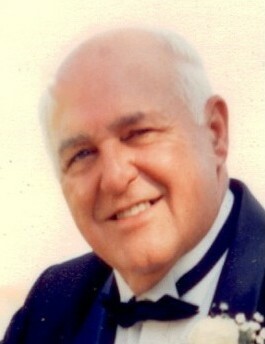 Michael A. Morganelli Jr., 82, of Milford, died Monday, June 11, 2012 in his home surrounded by his family. He was the husband of Rosemarie (D’Amico) Morganelli of 51 years. He was born in Milford, son of the late Michael and Vincenzina “Jenny” (Cannizzaro) Morganelli Sr. and was a lifelong Milford resident. Mr. Morganelli was a graduate of the Milford High School Class of 1947 and also was a graduate of the Burdett College in Boston in 1954, where he received an associates degree in accounting. He was a Korean War Navy Veteran. Mr. Morganelli was the owner of the former Milford Finance Company for many years. He retired in 1992 from the Medway Post office where he was employed as a postal carrier. He spent his retirement years during the winter in St. Petersburg FL. He was a communicant of the Sacred Heart of Jesus Church, a member and past commander of the Milford Italian American Veterans Post #40 from 1994-95, a member of the Milford Italian Veterans Bocce League, a member of the Sons of Italy in Milford, and was crowned King of the Mardi gras for the Milford Sicilian Organization in 1999. He is survived by one son Michael and his wife Sue-Ellen (Ferguson) Morganelli III of Northbridge, three daughters Angela and her husband Alan Nash of Milford, Tara and her husband Vincent Pearl of Mendon, Gina and her husband John “Ted” DePaolo of Milford, two sisters Jean Ruggiero and Carol Landry both of Milford, ten grandchildren, Paul Nash, Jennifer Nash, Marissa DePaolo and Megan DePaolo all of Milford, Vincent Pearl and Christina Pearl both of Mendon, Brendan Morganelli, Hannah Morganelli, Matthew Morganelli and Ella Morganelli all of Northbridge. He was predeceased by his brother Dr. Peter Morganelli. The funeral will be held Friday, June 15, 2012 at 9 A.M. from the Consigli-Ruggerio Funeral Home 46 Water St. in Milford MA. A mass of Christian burial will be held at 10 A.M. in the Sacred Heart of Jesus Church 7 East Main St. in Milford MA. Burial will be in the parish cemetery. Calling hours are Thursday 5 to 8 P.M. So sorry, I worked with Mike years ago at his part time job at Friendly's when it was uptown in Milfor d He was a great guy with a great sense of humor. I am sure everyone who knew him will have good memories . My thoughts are with you all. Our condolences to Rosemarie and the entire Morganelli Family.Sorry we can not be with you at this difficult time,but our thoughts and prayers are with you,across the miles. May God Bless and comfort you in the days ahead.